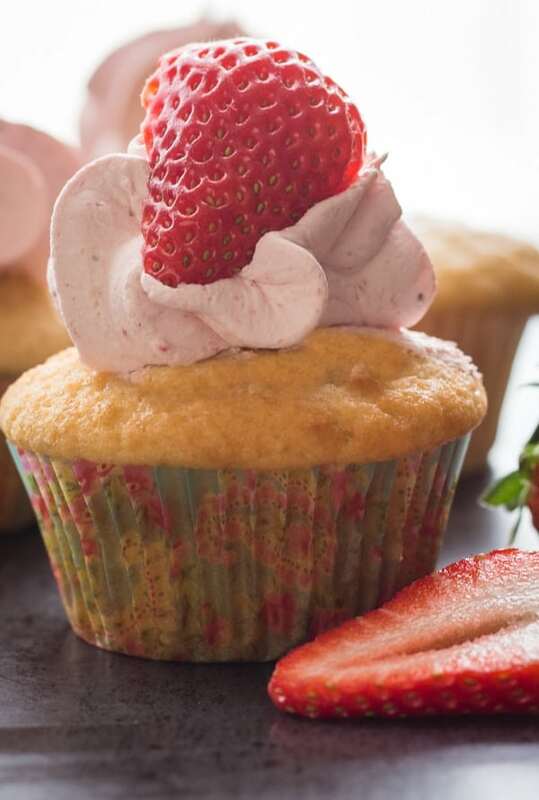 Strawberries and Cream Cupcakes are a homemade, easy and delicious recipe. 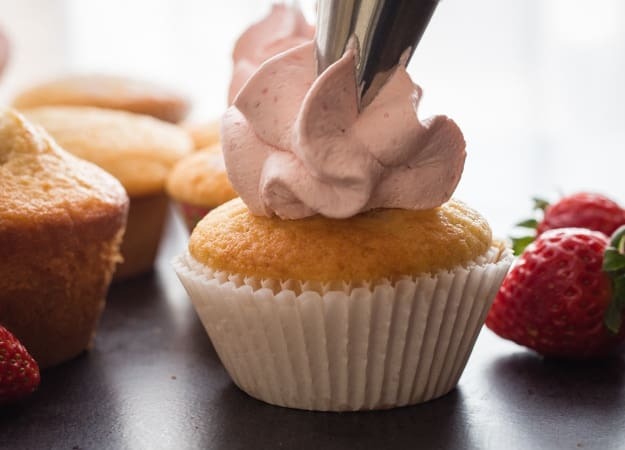 The cupcakes are made with yogurt and topped with a fresh strawberry and whipped cream frosting. So delicious. 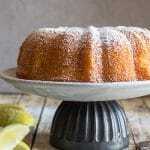 I have to say of all the sweet recipes on this blog the most popular in my house is my Easy Yogurt Cake. My eldest daughter (who arrives home for a visit in 2 weeks Yayyy!) has always declared it her favourite cake. And the Italian, well the Italian as long as it is dunkable, he won’t complain. And then comes my youngest who decided a few weeks ago that I had to make it with strawberry yogurt and also cupcake size and wouldn’t a nice strawberry frosting be perfect? As you can tell strawberries are her favourite fruit. So I made these Homemade Strawberries and Cream Cupakes, and they really were delicious! I used strawberry yogurt in the cupcakes, and I also cut back on the sugar. I cleaned some large strawberries and I blended them. Then I made some Stabilized Whipped Cream, when it got to the soft peak stage I added the pureed strawberries and continued to whip the mixture, until it was very stiff. By that time the cupcakes were nice and cool and just waiting to be frosted. If you notice I even forgot to add sugar to the whipped cream and strawberry frosting. If your strawberries are nice and ripe they really don’t need any extra sugar. I have to admit this is one Amazing Cake Recipe that can be made into a thousand different desserts. 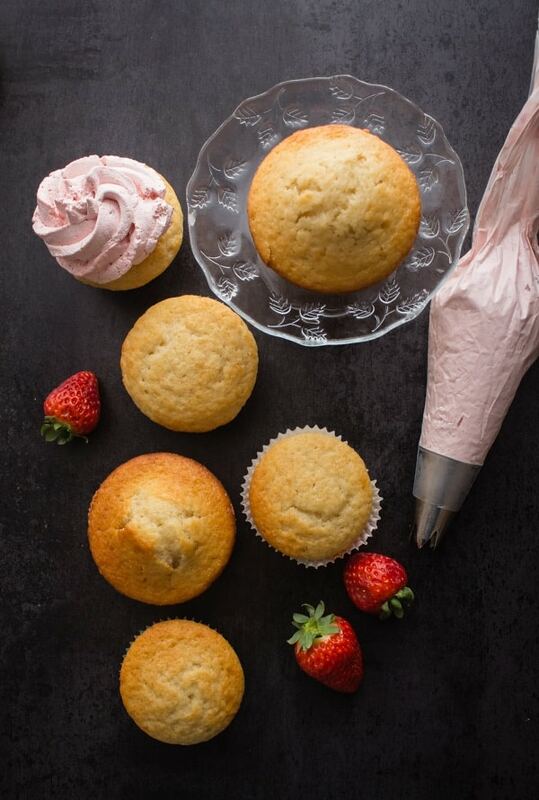 And these Strawberries and Cream Cupcakes are just one of them. 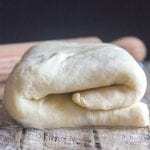 Fast, easy and really delicious. Enjoy! 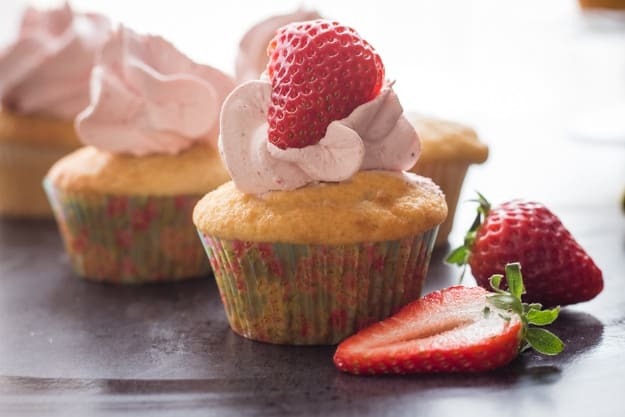 Homemade Strawberries and Cream Cupcakes, the perfect, easy light snack or dinner dessert. Made with fresh strawberries and so delicious. Heat oven to 350 degrees (180° celcius). 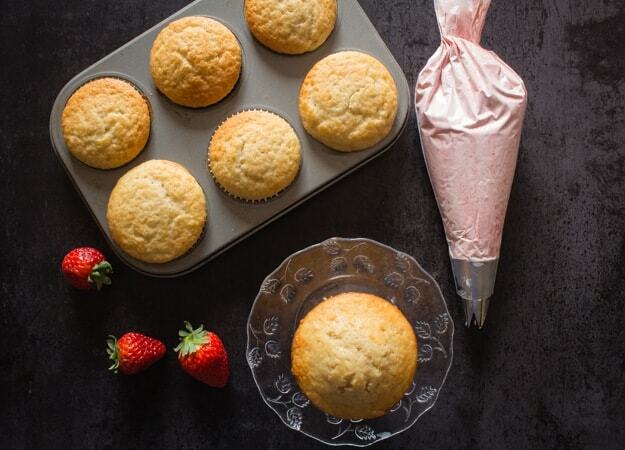 Grease a 12 cupcake pan or add paper cupcake cups. 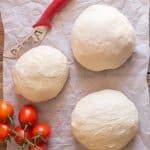 In a medium bowl, using a hand mixer on medium speed, lightly beat eggs (approximately 30 second add oil, sugar and yogurt, beat for 1 minute until smooth, add flour and baking powder and beat until well combined approximately another minute. 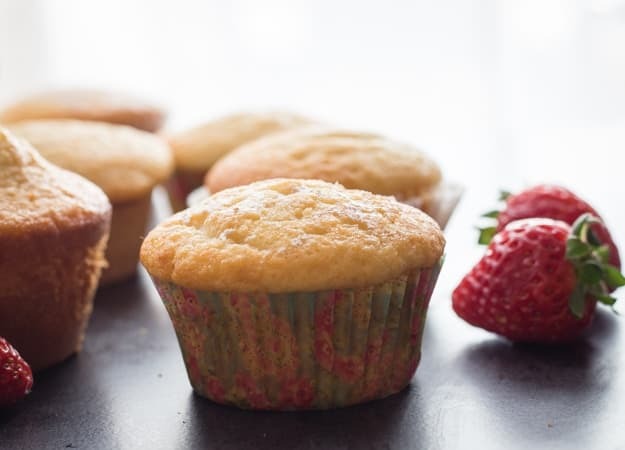 Pour into greased cupcake pan and bake approximately 20 minutes or until tested done (when toothpick or knife inserted in cake comes out clean). Let cool completely before frosting. In a small pot combine gelatin and cold water, let stand for approximately 10 minutes or until thick, place over low heat, stirring constantly just until gelatin dissolves. Remove from heat and let cool (but not set). In a medium bowl whip cream and icing sugar until soft peaks form, continue beating and add gelatin and pureed strawberries, whip on high until stiff. Frost cooled cupcakes with frosting. Enjoy! 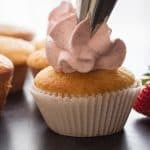 **You could also use store bought stabilized whipped cream and when it gets to the soft peak stage add the pureed strawberries and whip until stiff. Can I make the icing ahead of time? Or is it best made right before use? My sons birthday party is this afternoon, but at my parents house. I was hoping to make the icing at home and bring it there to ice, for ease of transport. I don’t like gelatin is there any substitution? Hi Jen apparently you can substitute powdered agar for gelatin using equal amounts. I hope that helps. Hi. 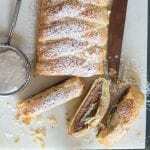 I would like to make these. I have one question What kind of strawberry yogurt? I’m not a yogurt fan, but I know there are so many out there. There is whole, 2% or 0%, greek, etc, Please let me know which you use. Thank you! Hi Stephanie, choose whichever one you like, I have probably made this cake a hundred times with any and every type of yogurt and they all work. 🙂 If I had to choose one I would probably use just regular 2% yogurt. I just made these for my daughter’s birthday and everyone loved them. Great recipe, thank you. Hi Jill, so glad everyone enjoyed them.